Larinya crosses the lake elegantly on the back of her swan. She is holding a swan chick in her hands. She loves the wonderful birds and spends most of her time with them on the water. 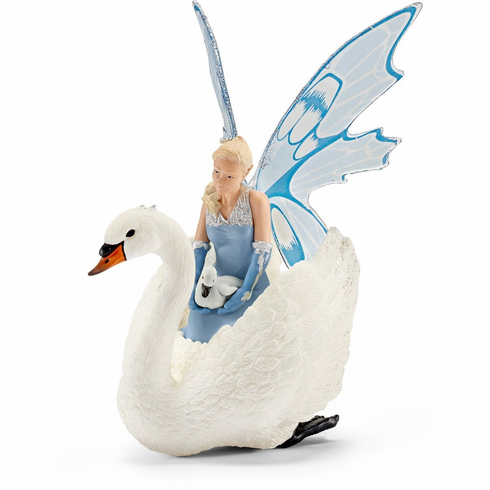 Larinya glides peacefully on the back of her swan across the smooth surface of the lake. Lovingly she cradles a cygnet in her hands. She wants to show it to her sister who loves swans just like she does. Together they love to spend their days with the wonderful birds, ride on their backs, fly together over the water and look after the young.